Enjoy year-round panoramic views of Cow Rock and Bald Rock Mountain from nearly every room. Quiet and secluded, yet convenient - five minutes from the charm of downtown Cashiers, a range of golfing opportunities, and the trails of Panthertown Valley which is dubbed the 'Yosemite of the East.' You are only fourteen miles from the quaint town of Highlands, NC which boasts exquisite restaurants, fabulous boutique shopping, and a thriving cultural and arts scene which includes live professional summer theatre, museums, music, and galleries. You can enjoy the beautiful outdoors in every season here - native wildflowers in the spring, lush green in the summer, brilliant colors in the autumn, and a serene wonderland in the winter. 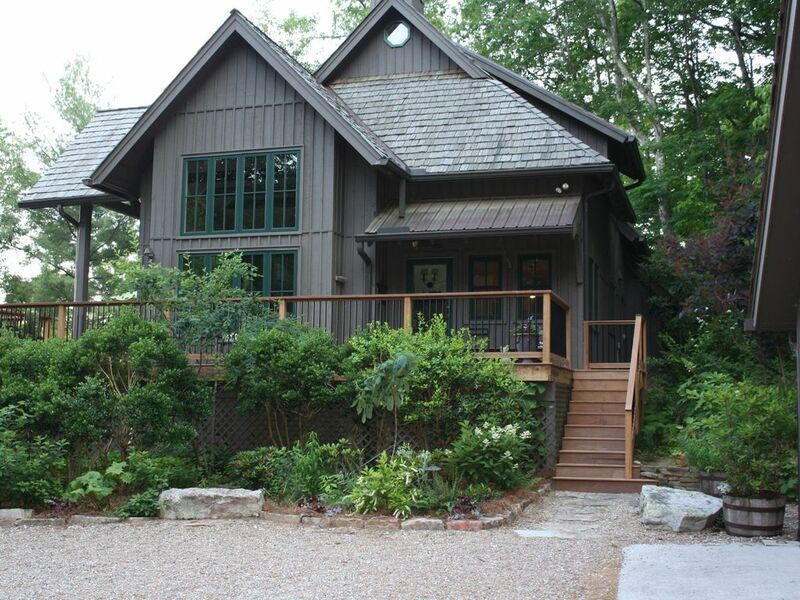 The house sits at 3700' at the end of a road on 10 acres which includes over a mile of private hiking trails.